If you're an avid supporter of beauty brands created by Malaysians, then this is one brand you should check out. Caroline Oi is a Malaysian who founded Mon Cheri Essentials. I blogged about Mon Cheri a few years ago when they first launched in Malaysia here. I fell in love with their Parisian romance inspired packaging and that the fact all their products are made free from SLS (sodium lauryl sulfate), Paraben, Linolin, Mineral Oil and fragrance-free. Recently the brand launched a new addition to their line of products the Mon Cheri Petale CC Cover. 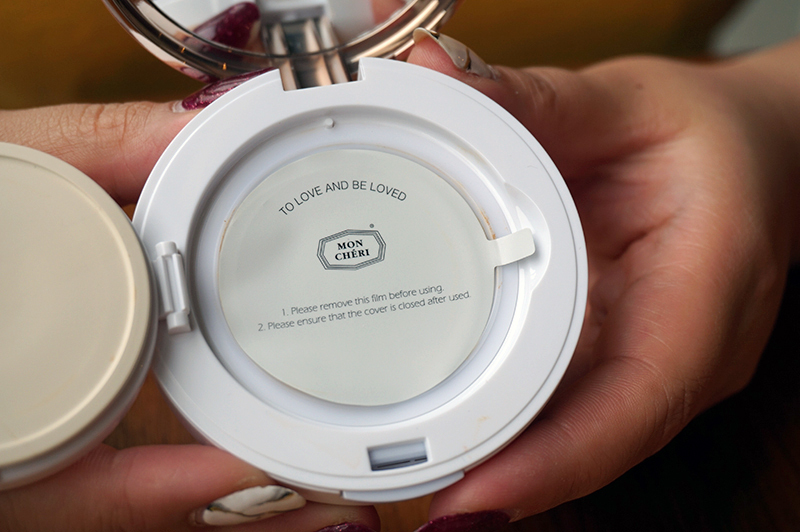 It's an innovative foundation encased in a cushion. 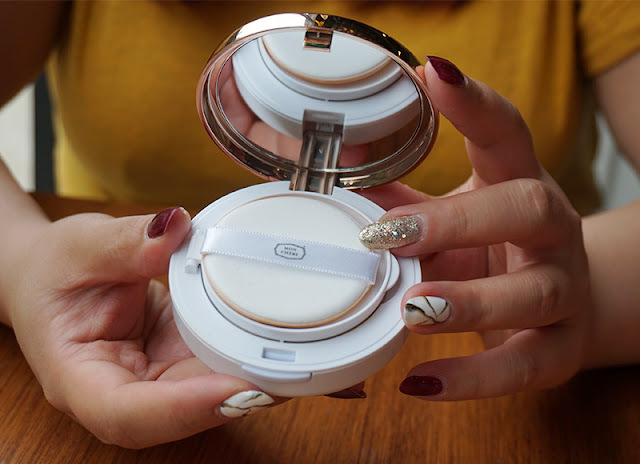 Something all K-Beauty lovers would identify with as the infamous BB Cushion (Beauty Balms) has already become a makeup must have because of it's easy and convenient to use with all-in-one benefits. 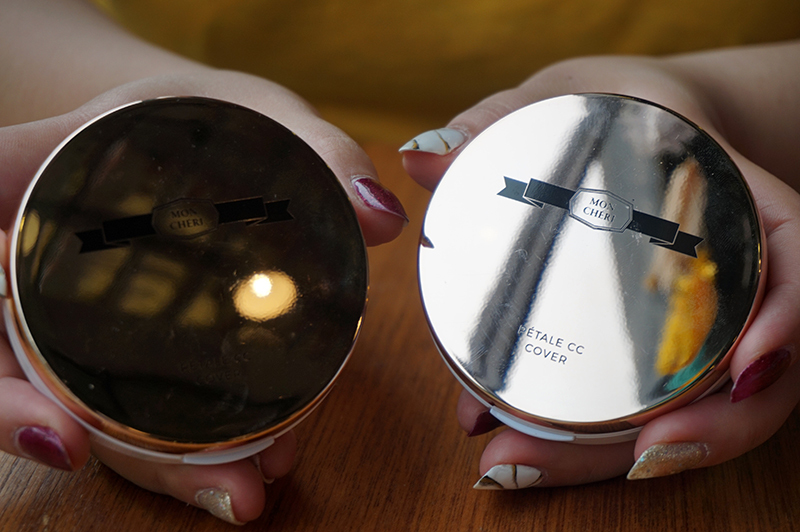 CC Cushions are colour corrective cushions that may have and extra benefits compared to BB Cushion. Normally, they would contain brightening primer, light foundation, anti-ageing properties, moisturiser and sun protection. Typically CC Cushions is lighter in texture and more suitable for the acne-prone skin types. Mon Cheri Petale CC Cover is a weightless and velvety-soft cover for visibly flawless skin. Resistant to U0A/UVB rays (SPF 50+ PA+++), your skin is left comfortably hydrated by emollients, producing a soft, lustrous facade. Look and feel elegant in your naturally-guarded porcelain skin, protected in the long term with anti-aging benefits as well as ultra-smoothened wrinkle lines. 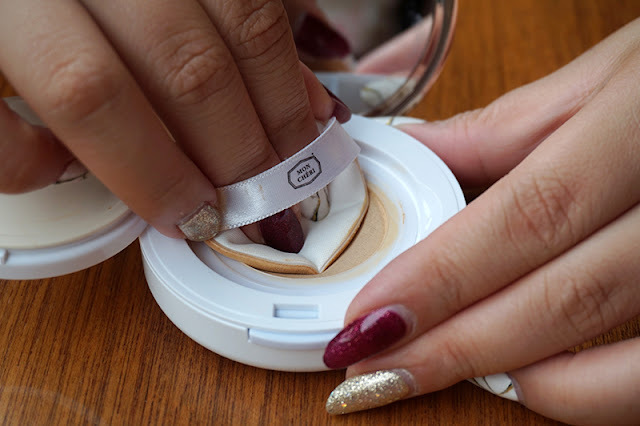 Stay youthful with sebum-regulating and skin-lightening effects while Mon Cheri effortlessly cushions customizable coverage onto your already radiant skin. 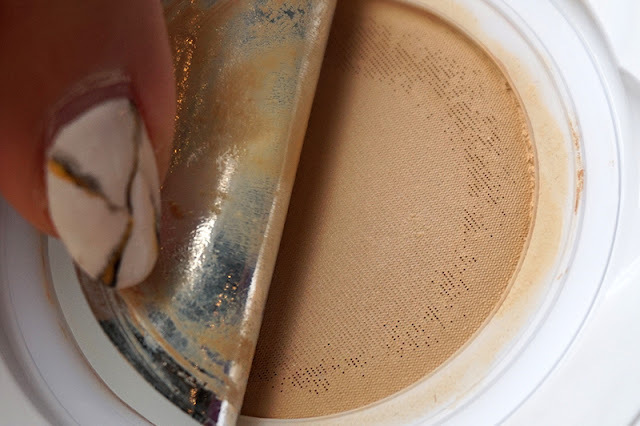 Get that non-sticky, non-greasy and high coverage look. 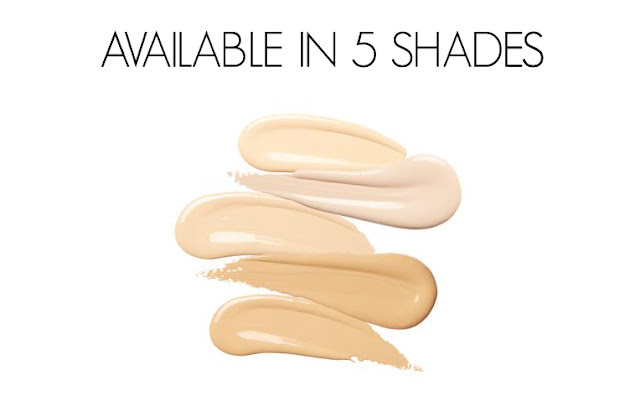 What's more, it comes in 5 natural skin shades! There's definitely a reason for you to pick one - Mon Cheri Essentials. I was surprised as so far they only sold skincare products catered for the following skin types; Normal To Combination, Aging & Sun Damaged, Oily and Dry & Sensitive. I guess it makes sense to add a skincare cosmetic product that would not only protect but also beautify you. The key ingredient to highlight here is the Vitamin C. A popular ingredient beauty brands use to fight against environmental aggressors such as stress, pollution and free radicals. It helps protect the skin from dangerous UVA/UVB rays on top of the SPF50+ PA+++ coverage given by the Petale CC cover. Vitamin C is will help aid in cell regeneration, improving skin elasticity (firming), and lighten pigmentations of dark spots to reveal a brighter and more radiant complexion. Another honourable mention is the use of oils in Mon Cheri products. The Grape Seed Oil (Vitis Vinifera) is added for its anti-ageing, hydrating and soothing properties so your skin would be dewy soft with a lustrous finishing look. Remember I mention that CC Cushions are suitable for acne-prone skin? Well guess what? Mon Cheri's Petale CC Cover also has multiple herb extracts that have effective acne medication with anti-inflammatory and antibacterial properties. So it sounds promising, now on to what I think about it? The cover is in gold, which gives it a luxurious feel. I do like the fact that the cover is reflective, so you could have a quick check without needing to open up for the mirror. Also if ever anyone gets stranded in the forest or island, use the reflective cover to build a fire like MacGyver. Otherwise, if you spot a cute guy just use this to catch his attention (shines). The overall packaging is made of plastic and comes in a box that's also reflective in gold. 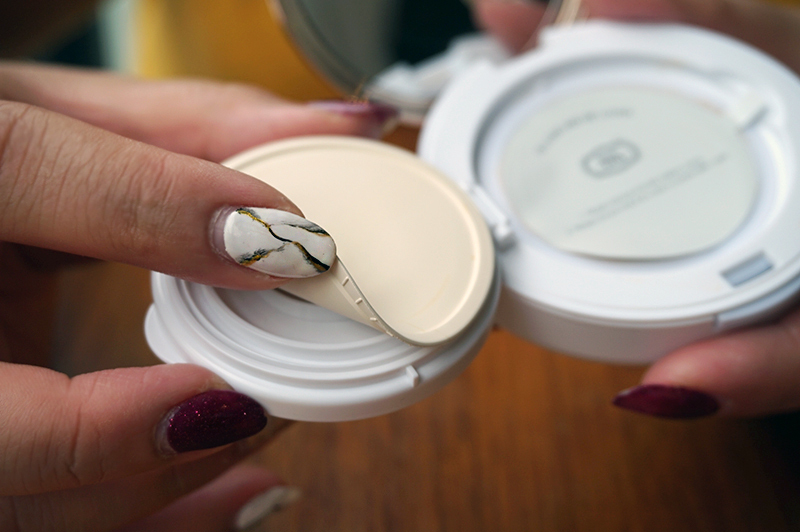 Once you open your compact, it feels just like any ordinary cushions out there until.... you try to open the inner compartment to see the cushion. This is where things get interesting! It wasn't as easy to pop it open because there's this inner rubber layer that seals it airtight! Preventing leakage or air from drying it up. let's put it to the first swatch? 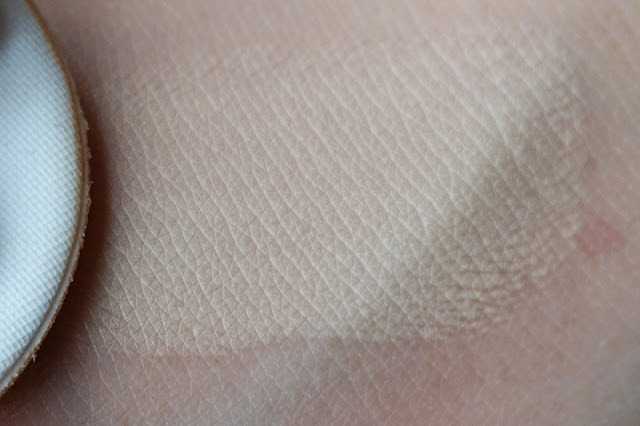 My first swatch was impressive, the colour evens out the skin tone, hides pigmentation. 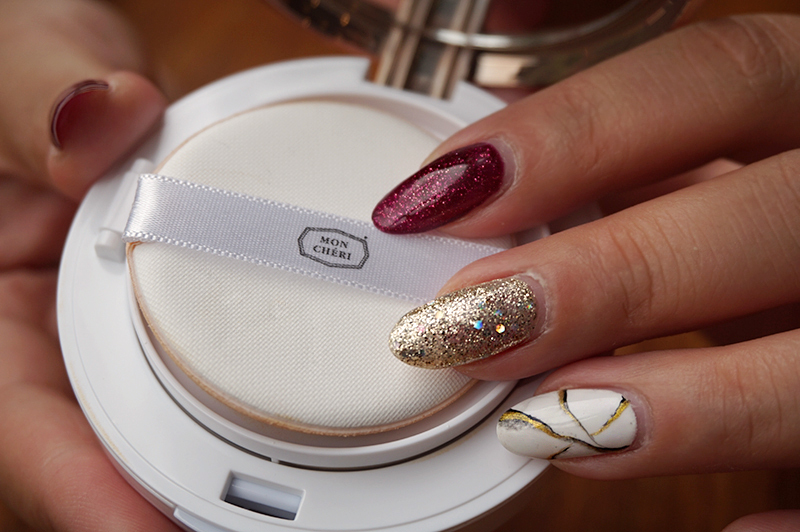 It brightens immediately and has a matte powdery finish. 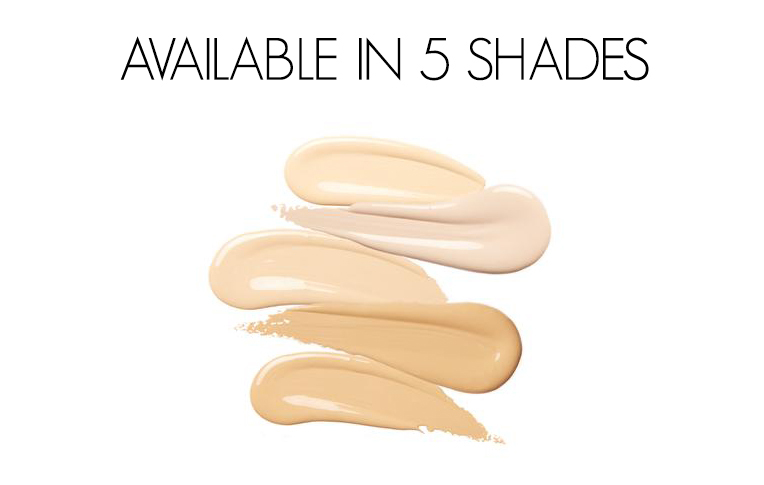 The foundation is lightweight, making application effortless smooth. I like the scent of the covers, it smells luxurious imho. However, when I applied it on my face it didn't seem to work well for my skin. The shade was bright. (probably need another shade). I have dry skin, and my skin have been peeling as well. The foundation didn't help to cover that and it wasn't as moisturising as I thought it would be for my skin. 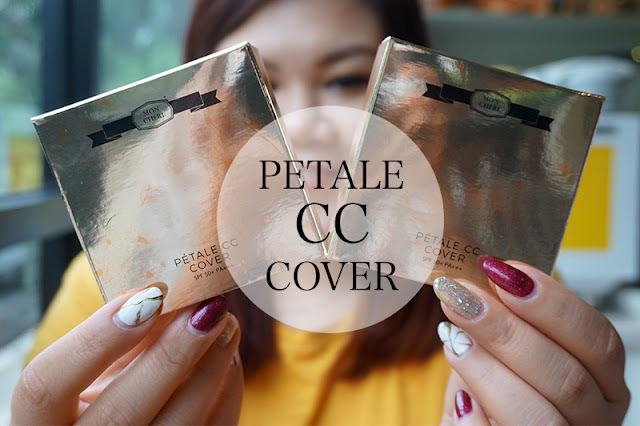 It made my skin drier in the end, so I concluded this Petale CC cover would be better off for normal - oily skin type. Especially ones prone to acne, the redness would soon be even out by the foundation. Sebum and excess oil, would be absorb by the foundation as well so you don't have to worry about shinning like the product's cover. It's a pity that it didn't suit my skin, it looked really great swatch on hand. If you like what you see here and would like to give this a go, it's available at Mon Cheri online store www.moncheriessentials.com and kiosks at RM135 each. 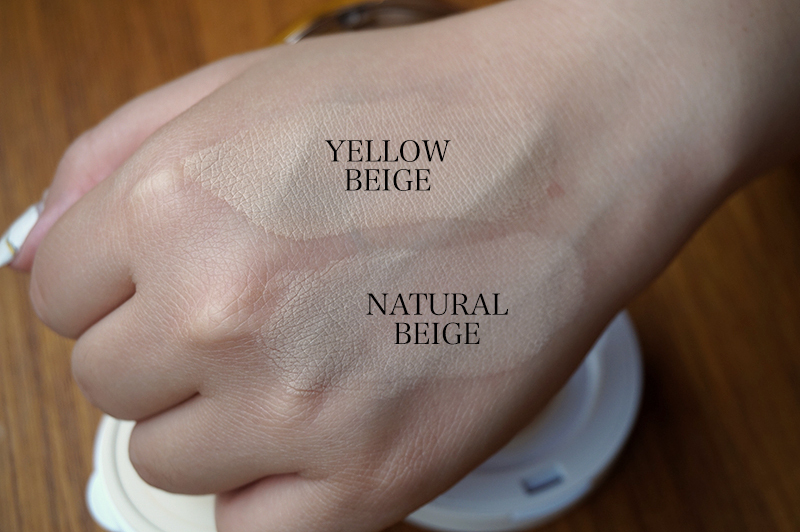 It comes in 5 shades, what you see here is the yellow beige and natural beige shade. There's light pink, sand beige and brown beige. At the same time, having an expensive rolex replica watch in certain parts of the world can be an asset in emergency situations. A great brand to mention now is rolex replica sale. People have said in the past that if you have a half-way decent fake omega watch pretty much anywhere in the world, you should be able to relatively readily "exchange it" for a trip home in the event you are in an emergency cartier replica sale situation. This, of course, isn't a universal rule, and doesn't work with all panerai replica uk watches in all places. Nevertheless, if you have a quality watch from a popular brand rado replica uk such as Rolex (and especially Rolex), there is a high likelihood that people even in remote places will recognize its value and either give you cash or services in exchange for it if you find yourself in a pickle.